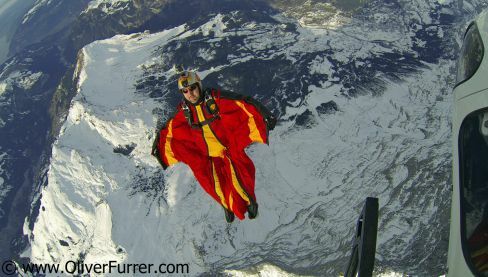 news 13.12.15: One of the most spectacular Skydive jump is: exiting from a helicopter over the Eiger summit, Switzerland and fly along the mountain (North face) within a Wingsuit flock dive! This was explored by a small group of jumpers mid of December. 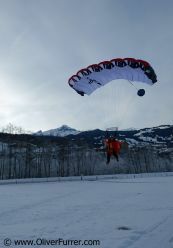 The only one issue was the temperatures of -15°C at 16'000ft sea level! 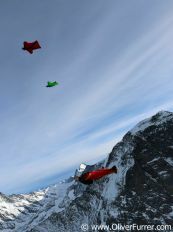 wingsuit jumpers after the Eiger jump.